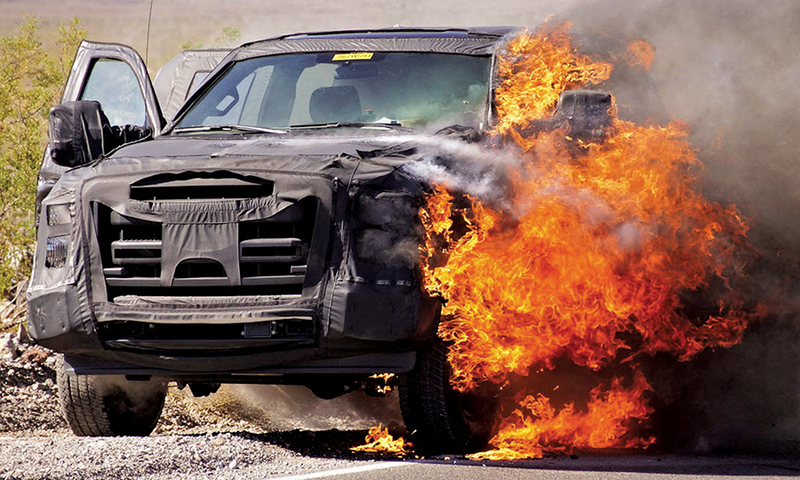 A year in 2014 photos: A tornado in Mississippi, a hail storm in Nebraska, and a fire exposes an aluminum Super Duty. A severe tornado struck Bob Boyte Honda in Brand, Miss., at 6:46 p.m. April 28. 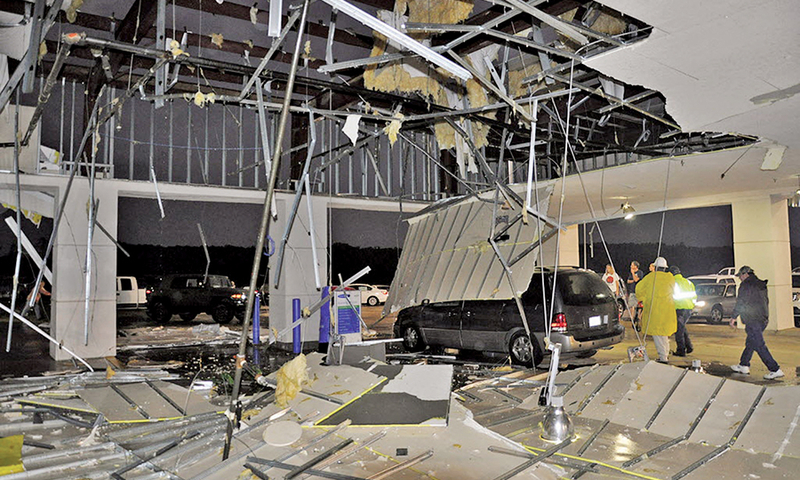 Dealer Bob Boyte knew the exact time it hit because his security camera recorded the storm ripping his 800-pound shop door off and tearing up his service department. 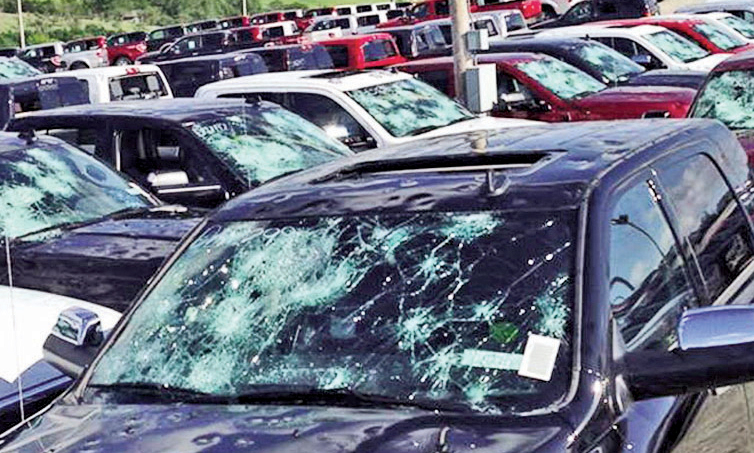 In June, baseball-sized hail inflicted heavy damage to vehicles at Woodhouse Ford, the famed "Truck Mountain" dealership in Nebraska that is the nation's top seller of F-series pickups. It was still a burning question last summer: Would Super Duty versions of the redesigned Ford F-series pickup have aluminum bodies, like the 2015 F-150? Some bloggers and a spy photographer thought the inferno that destroyed a testing prototype in Death Valley in July answered the question because blobs of melted aluminum were left on the side of the road. They were proved right. 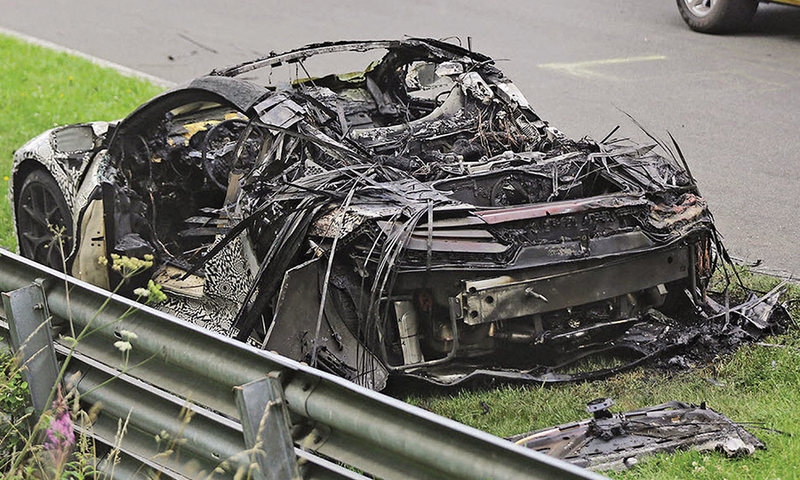 A prototype of the Acura NSX went up in flames while undergoing high-speed testing at Germany's Nurburgring last summer. No injuries were reported, and despite the setback, the high-powered hybrid sports car is set to debut at the Detroit auto show next month. 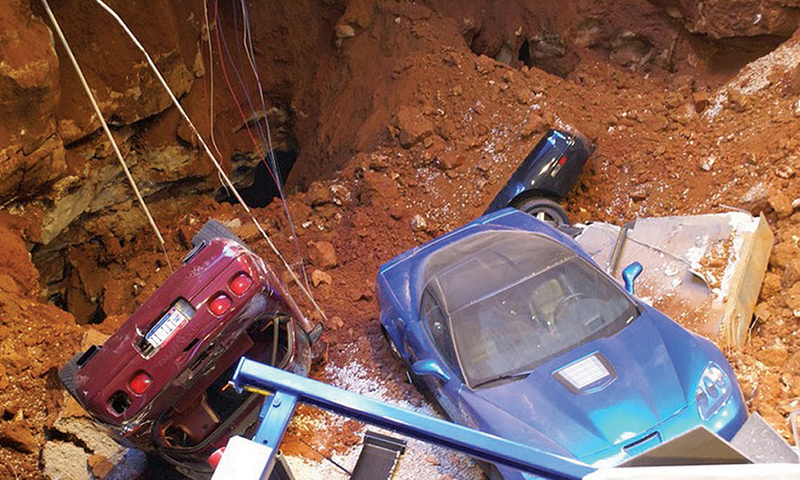 A sinkhole at the National Corvette Museum in Bowling Green, Ky., in February swallowed eight cars. All of the Corvettes were recovered eventually. Chevrolet agreed to restore two of them. The museum will oversee restoration of a third.